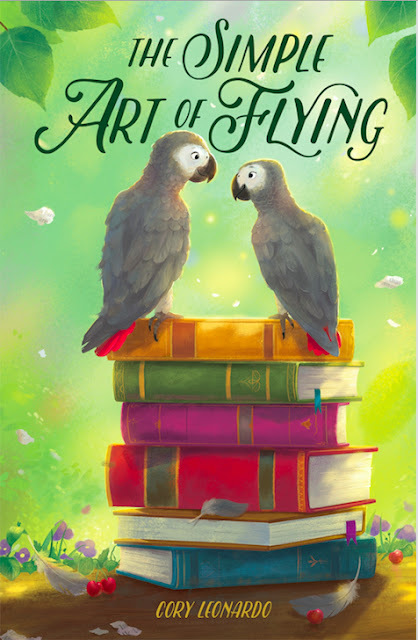 Today we are excited to feature MG author Cory Leonardo and her debut, THE SIMPLE ART OF FLYING (Aladdin/S&S, Feb. 12, 2019)/ CALL ME ALLISTAIR (Scholastic UK). Be sure to enter to win a copy! For a very long time I was too scared to write. I grew up loving books, but I came from a very practical family where math and the sciences were considered job-material, and the arts were seen as hobbies. 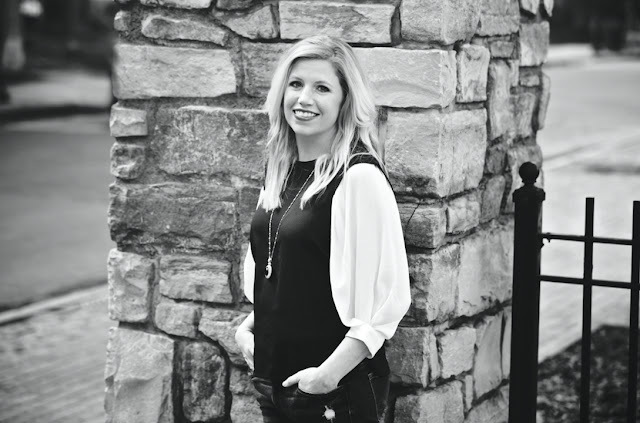 I married right after college and was lucky enough to stay home with my three children, but after my third was born, I realized I needed to figure out what was next. I considered everything—education, law, nursing, you name it, I considered it. Writing kept coming to the forefront no matter how hard my practical side fought against the idea. But after years of studying the business and realizing children’s books were where my heart beat fastest and that there was nothing I wanted to do more, I finally gave in. I still can’t believe I get to live my dream. Congrats on your book, THE SIMPLE ART OF FLYING. Tell us about it and what inspired you. Thank you! THE SIMPLE ART OF FLYING came in one of those bolts of lightning. I’d been writing for years at this point and had made the decision after my youngest went to kindergarten to give it all I had. It was during this time, that all of a sudden one morning, Alastair’s voice was in my head. I knew he was a parrot, and I knew instantly that he had a certain taste for poetry. His sister Aggie, Fritz and 80-year-old Bertie—they came tumbling in too, and all before my feet hit the floor. But it’s funny how much your own life finds its way into your stories: There’s that cantankerous voice in my own head. Like Alastair, I ate up that same book of poetry in college (metaphorically). So much of Bertie’s story came from having a couple spritely, opinionated grandmothers. And all of the antics in the pet shop were born out of listening as my veterinarian mother regaled us with the day’s animal activities every night at the dinner table. Oh my. All of it. From avoiding every creative writing class in college (I ended up majoring in English, so this took a concerted effort), to realizing that writing was all I wanted to do with my life took over a decade. Reading everything I could get my hands on, polishing my writing chops, and querying took another eight years. Just as I was finishing the first draft of THE SIMPLE ART OF FLYING, I learned about Pitch Wars, a writing contest that matches agented authors with mentees. I entered, was chosen, and one day after my pitch was posted, I had an offer of representation. We sold the book here and in the UK shortly after. I always say publishing is the slowest fastest business in the world. Your favorite classic MG novels? CHARLOTTE’S WEB is as perfect as it gets. I reread it almost every year. Your favorite recent MG novels? I adored BOB by Wendy Mass and Rebecca Stead. LOUSIANA’S WAY HOME by Kate DiCamillo was a masterful, heart-breaking delight. And SWEEP: THE STORY OF A GIRL AND HER MONSTER by Jonathan Auxier was magical. I didn’t plan on writing another book with talking animals, but I can’t seem to get away from them. My current project is a retelling of THE WIZARD OF OZ with a hedgehog as the main character, and I’m very much in love. Follow your heart and do your homework. On the homework end, getting a book out there in the world isn’t just the act of writing—though, how I wish it were sometimes! It’s about learning the craft, understanding the business, knowing the market, networking, and reading, reading, reading. On the other hand, business and knowledge only get you so far. Write the book you can’t not write. Write the book that begs for every piece of you. When you’re absolutely compelled to write something, I think that passion tends to work itself out onto the page. And it seems to me, the book of your heart is the kind of book people will want to read. My first job was as a Wal-Mart sales clerk in the beauty department. I was so meticulous about straightening shampoo bottles, they gave me my own commercial. Other jobs included working as a boating instructor, a telemarketer (worst job ever), and a waitress at Red Lobster. If you ever need a lobster retrieved from a tank, I’m your girl. I’m most active on Twitter: @_CoryLeonardo. Cory Leonardo grew up believing she’d replace Vanna White on Wheel of Fortune, but when that didn’t work out, she decided she’d turn letters and phrases in a different way (but minus the glittery dresses, sadly). A born and bred upstate New Yorker, she currently lives in the Syracuse area with her husband, a collection of snow shovels, and her three plucky children. The Simple Art of Flying (US) / Call Me Alastair (ScholasticUK) is her first novel. This is a book I've been waiting for! Thank-you for sharing your process! I think the existence of only one Vanna White is perfectly OK. Thank you for your work as a writer! I know an Alastair! I’d love to win your book. Such a beautiful book, I'd love to have a copy. Thanks!! This looks like a GREAT book! Can't wait to read it! This is a gorgeous book. Thanks for the interview today and chance to win a copy. Thanks, look forward to reading this! On order at my library. Write the book that begs every piece of you. AWESOME advice! I think I responded here this afternoon. I'm now trying to get this on my facebook page for the entry into this contest. Looks like and sounds like a fun book. Thanks for sharing and congrats!! !